On July 29th, 2011, the U.S. Consumer Product Safety Commission, in cooperation with Bravo Sports of Santa Fe Springs, announced a voluntary recall of the several models of their pogo sticks due to a laceration hazard. The bottom rubber tip attached to the pogo stick frame can wear out prematurely, posing a fall hazard to consumers. Also, the end caps on the handlebars can come off, exposing sharp edges. This poses a laceration hazard to consumers. As of July 29th, 2011, Bravo and CPSC have received 82 reports of the bottom tip wearing out on the pogo sticks, including five reports of injuries. A 9-year-old girl suffered a skull fracture and chipped a tooth. Another 9-year-old girl cut her lip and chin, requiring stitches. Other injuries included scrapes, hits to the head and teeth pushed in. 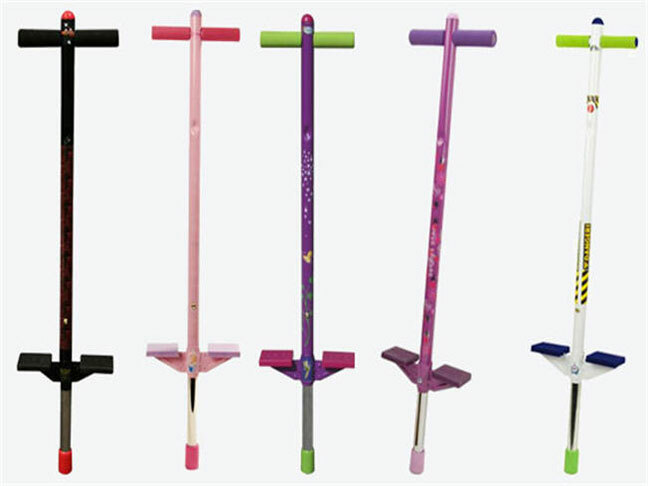 This recall includes pogo sticks in various colors. The models included in this recall are the Disney Hannah Montana Pogo Stick, the Disney/Pixar Toy Story Cruising Cool Pogo Stick, the Disney/Pixar Cars Pogo Stick, the Disney Princess Pogo Stick and the Disney Fairies Cruising Cool Pogo Stick. The pogo sticks have Disney labels between the handlebars. The manufacturing date codes between 01/01/2009-022CO and 11/30/2010-022CO are on a clear label on the stem of the pogo stick near the foot pedals and approximately 159,000 of these pogo sticks were sold at Burlington Coat Factory, Kmart, Kohls.com, Target and Toys R Us from February 2009 through June 2011 for about $20..
Consumers should immediately stop using the pogo sticks and contact Bravo Sports for a full refund. It is illegal to resell or attempt to resell a recalled consumer product. For additional information, contact Bravo Sports toll-free at (855) 469-3429 between 7:30 a.m. and 5 p.m. PT or visit the firm’s website. Additional general information can also be found at the CPSC website.